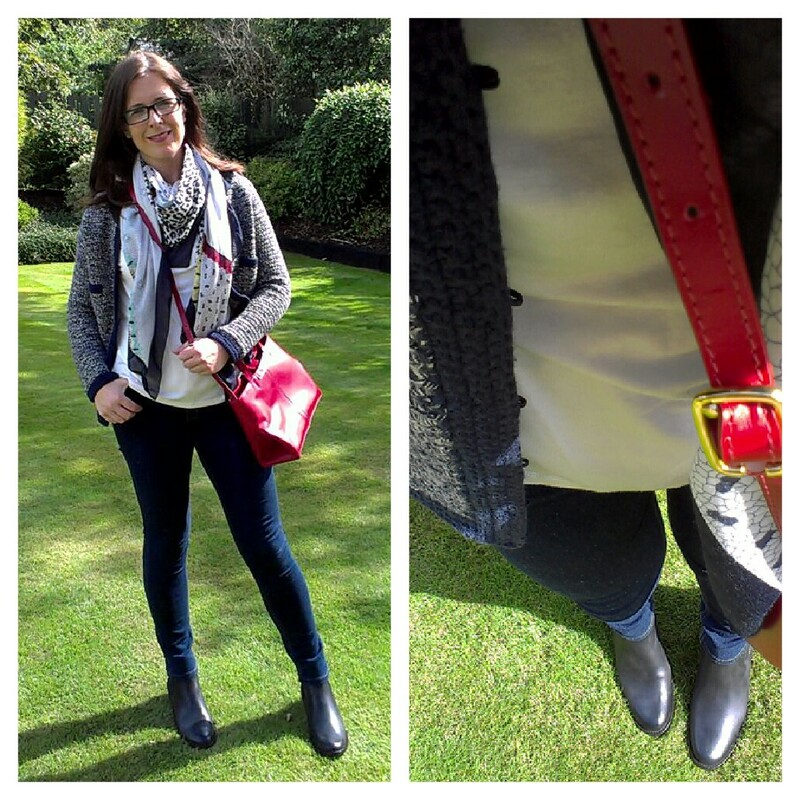 These past couple of years, I'm all about the ankle boots. I know longer boots are coming back but I'm always a couple of years behind the fashion pack so I'm sticking with my ankles for now. 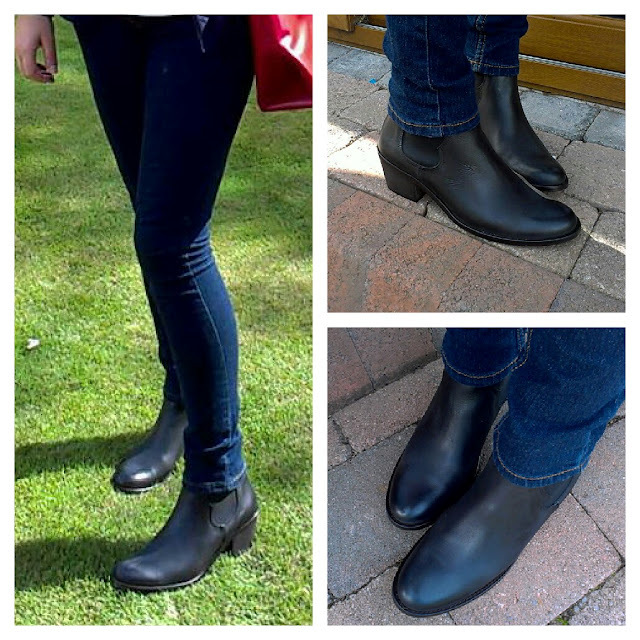 This autumn winter, I've decided I need ankle boots in black and grey to add to my navy & beige ones (too many ankle boots? NEVER!) and over the summer, I've been keeping an eye on eBay and in the sales to pick up new grey and black ones. But then...as I was about to bid on a pair of black boots, I was contacted by Seven Boot Lane and asked if I'd like to try out a pair of their boots. Now that's what I call good timing! I chose the Alabama boot in a size 7/40. These fit my 6.5 feet perfectly. Postage and returns are free (UK) and I received my boots next day - impressive for Northern Ireland - and I loved the little details like branded tissue paper and a ribbon around my box.. In terms of comfort, as you'd expect, they are first class. I don't have the budget to regularly buy items over £100 but when I do, I generally buy boots because you always get what you pay for and if you buy the right ones, you'll wear them loads. 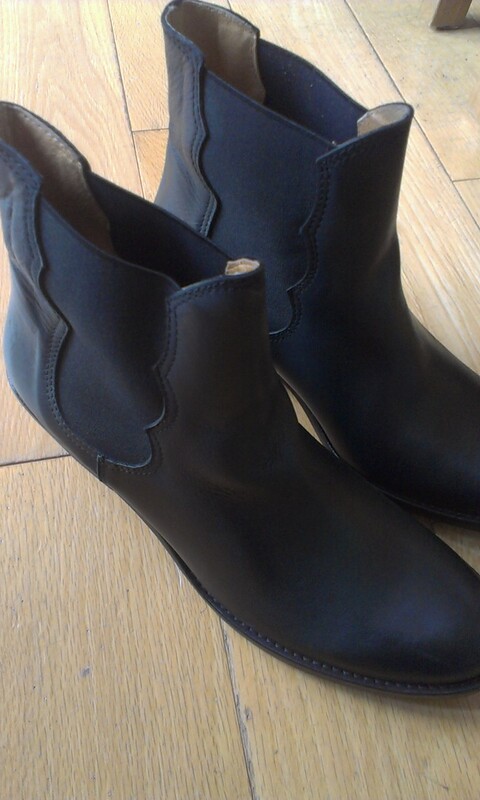 I've bought the cheaper boots too...so I speak from experience! These boots are amazingly comfortable, support your foot and fit like a glove. The boots are still a bit new looking - they are the kind of boots that improve with wear so watch them on this journey as I'll be wearing them a fair bit this autumn winter. 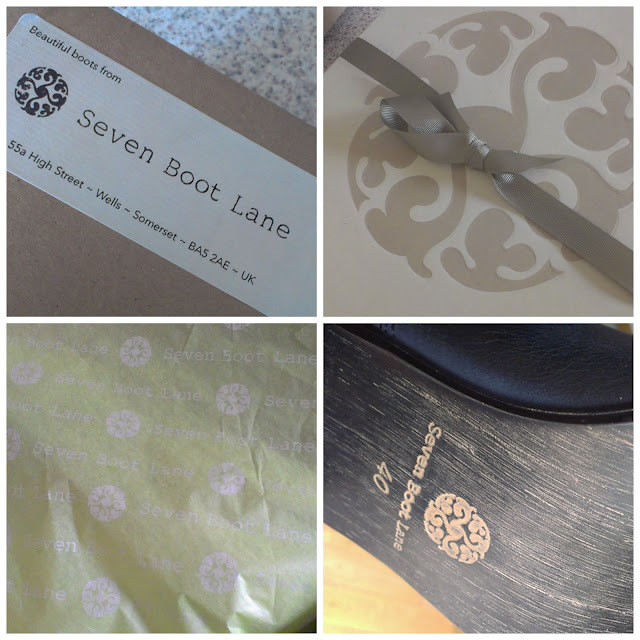 Just by way of background to Seven Boot Lane, it's a new brand, started in 2012 by husband and wife team Sebastian and Mais. With 15 years experience working at Clarks, Sebastian saw a gap in the market for beautifully made, stylish boots that are easy to wear and super versatile. All the boots are made in a small family run factory with over 50 years of boot-making experience in the Spanish town of Elche, using locally sourced leathers and materials. The website launched in June this year and if you live near Bath, you can go visit their shop. Other stockists include Anna in Woodbridge, The Clothes Room in East Mosley, and 19:10 in Cambridge. 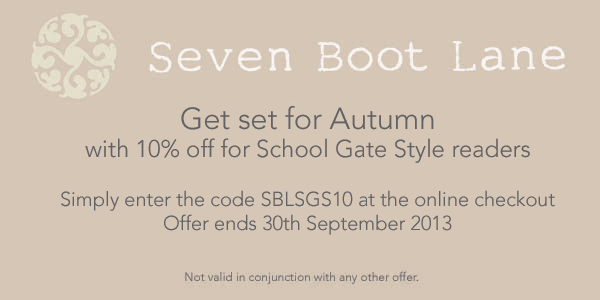 And the good news is that for all School Gate Style readers, there's a 10% discount code that you can use on the Seven Boot Lane website between now and the end of September. Remember, delivery and returns are free within the UK! Looking good Avril! I am on the hunt for the perfect black ankle boot this year and seeing as it took me two years to find long ones I could be a while:) Will definitely check out this new brand. Hope your kiddos are settling back into school! What stunning boots - I love the idea of a small business, entrepreneurial approach to boots - it makes them seem far more unique and niche. I wonder if they ship to the US?? Such lovely boots Avril - off for a nosey at the site! 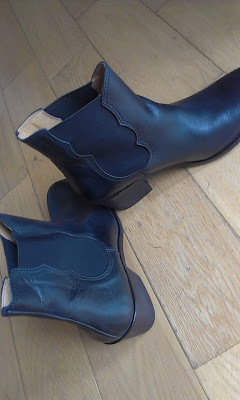 My black ankle boots from Clarks will be enjoying their third winter this year.